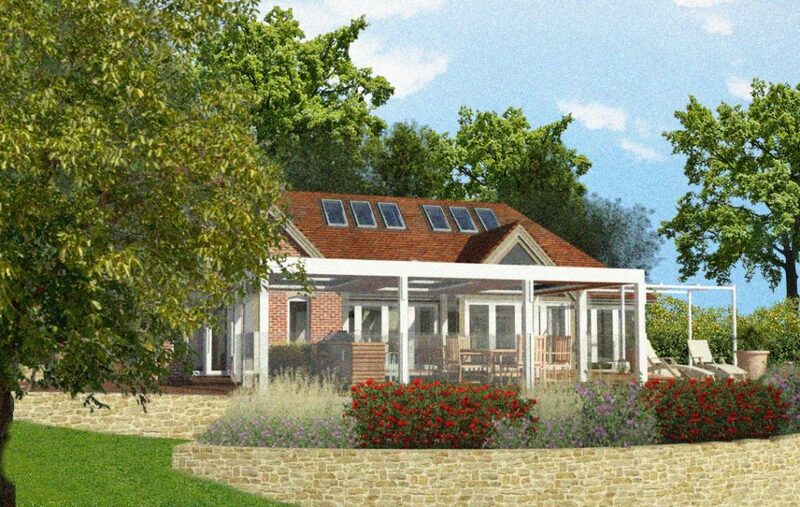 This is a charming small country estate with a pool house needing re-modelling and the terrace bringing to life. 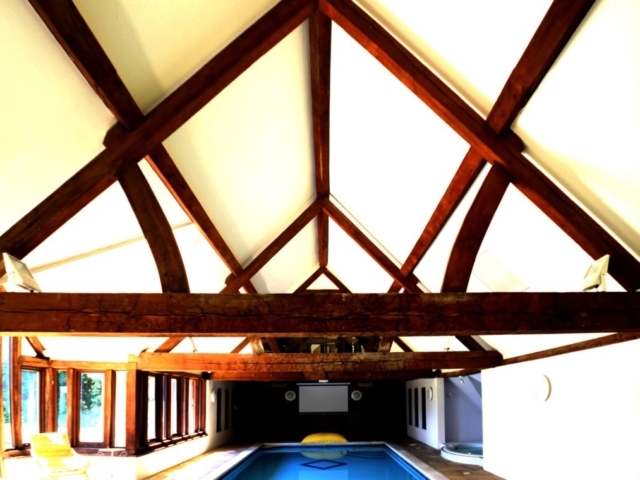 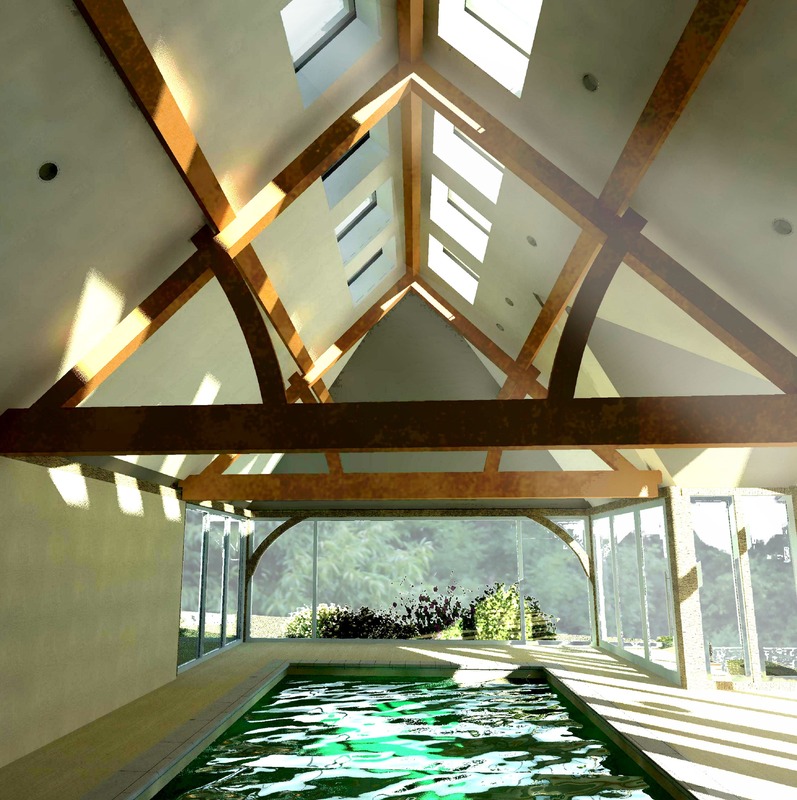 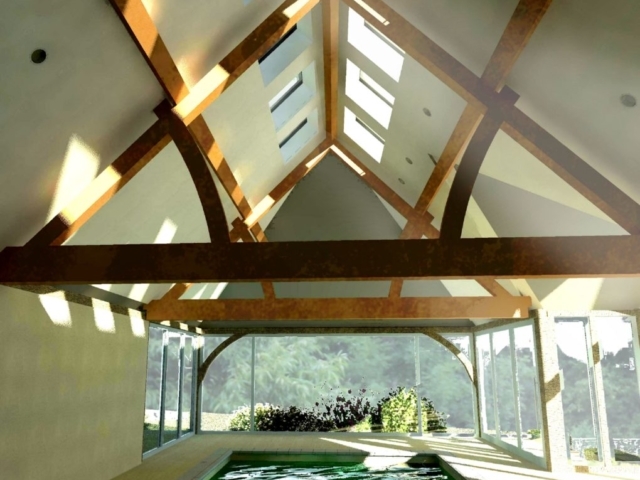 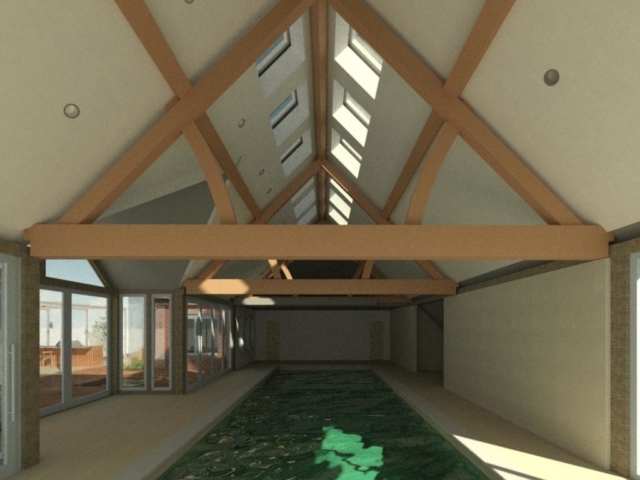 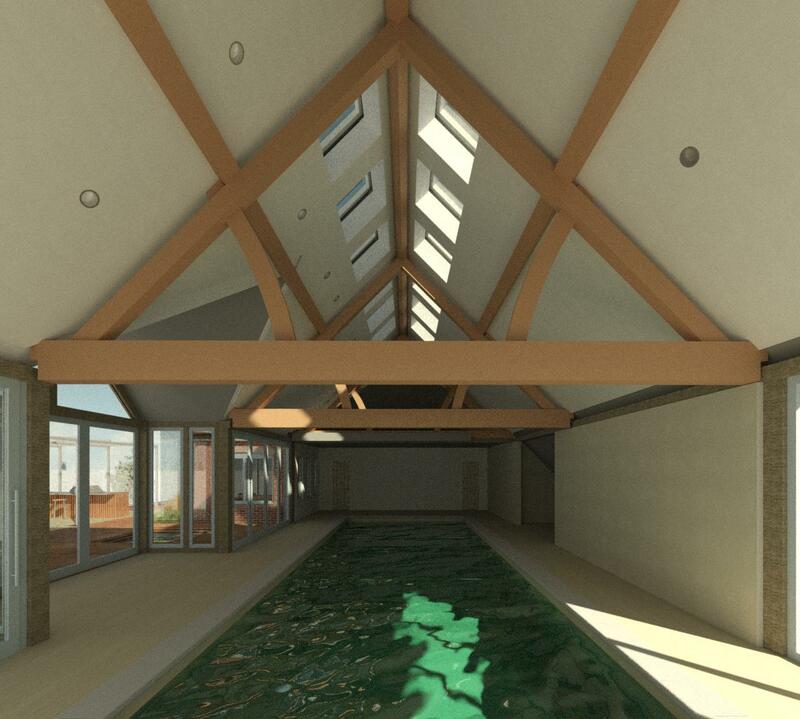 The older oak windows and structural framing had distorted in the poolside heat and our client wanted to remove these and open up the walls to bring more light and views into the building. 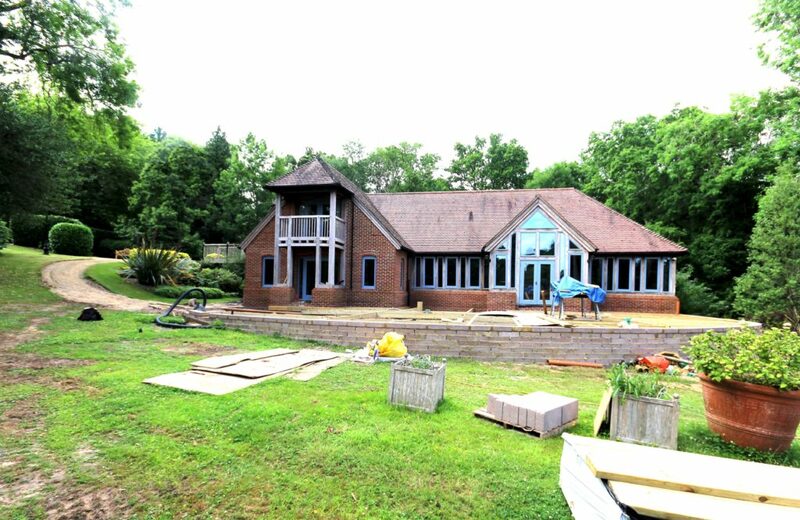 We designed replacement bi-fold doors and floor to ceiling windows that have transformed the interior. 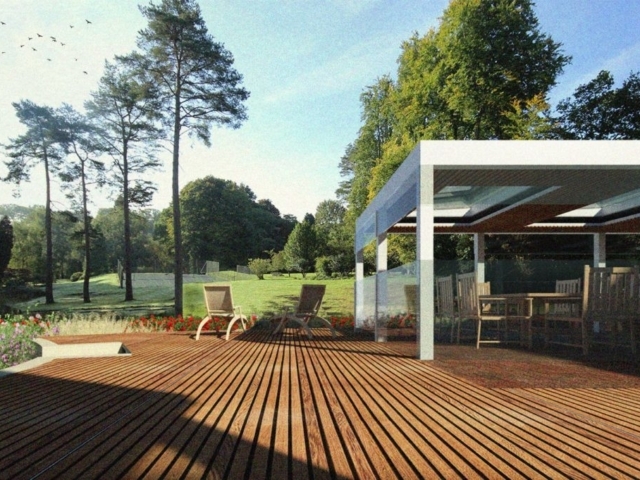 The stone floor is seamless and runs through to the terrace outside. 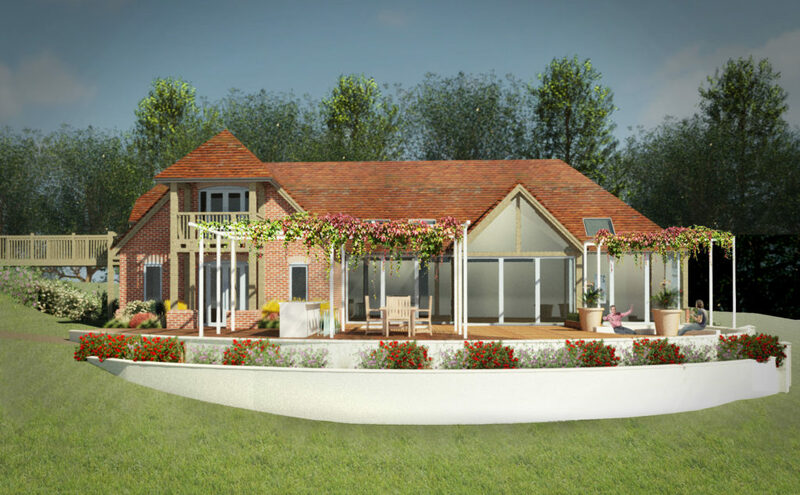 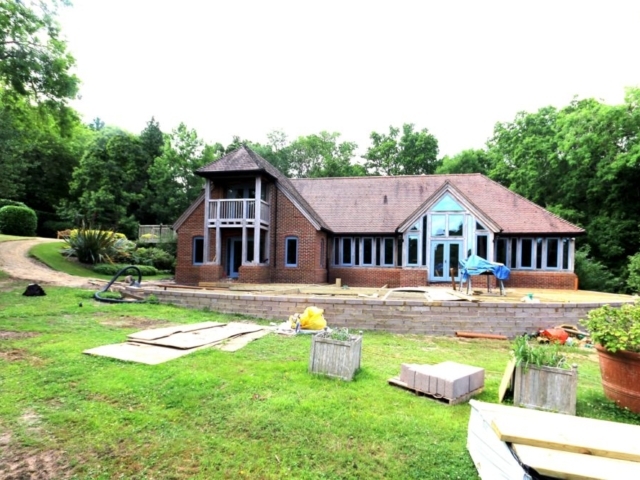 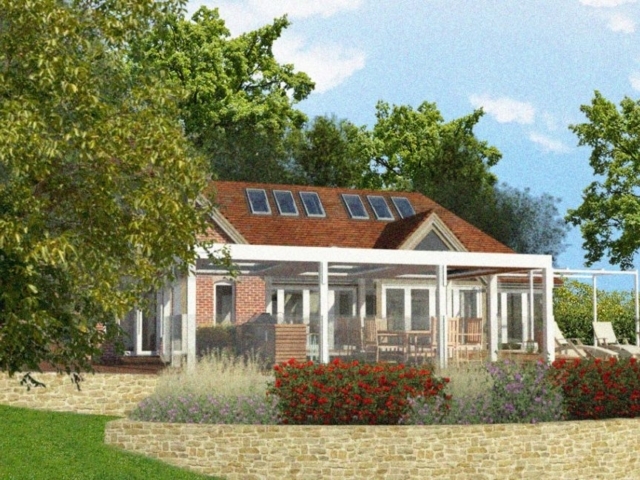 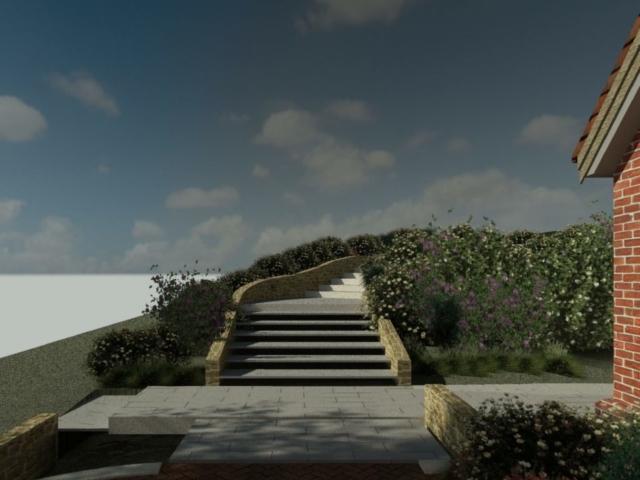 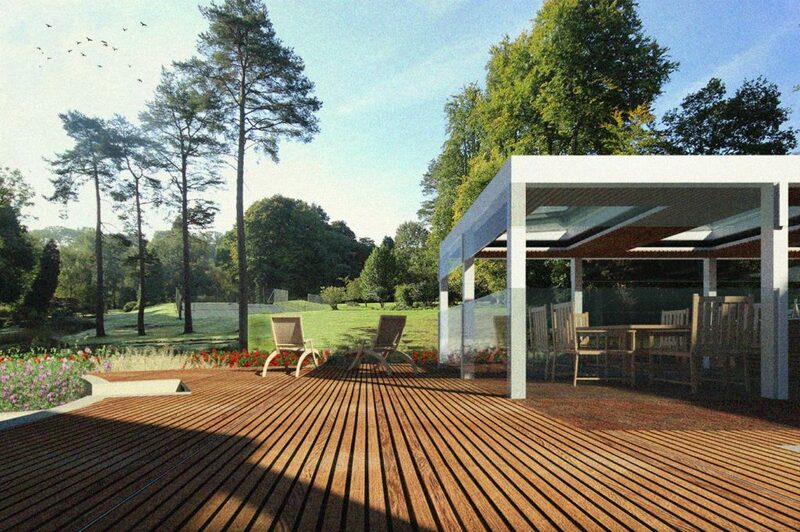 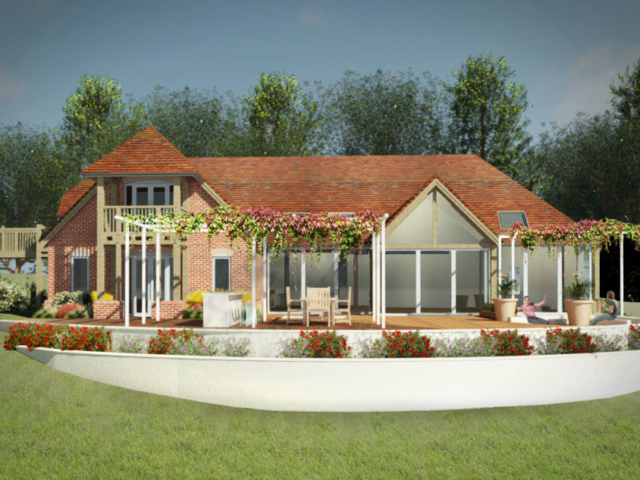 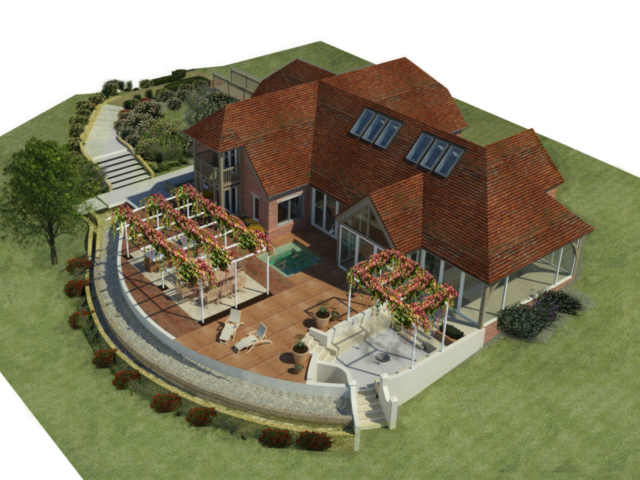 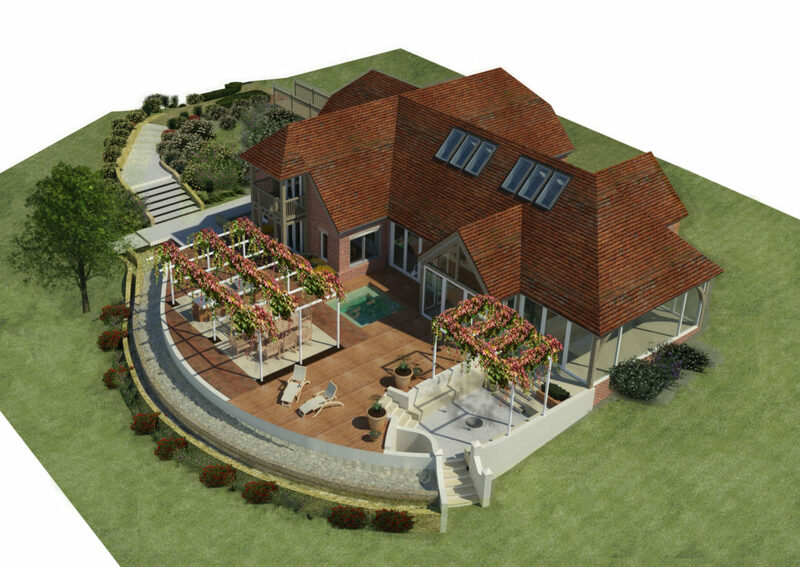 The terrace is now formed of separate spaces – an outside kitchen, a dining area defined with a new pergola, and with spaces for the hot tub and lounge seating. 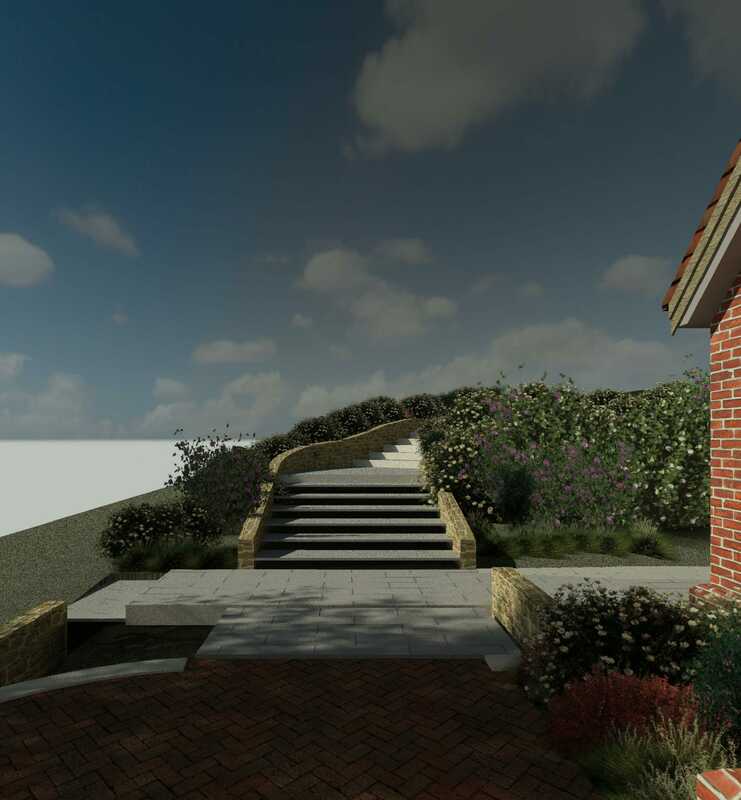 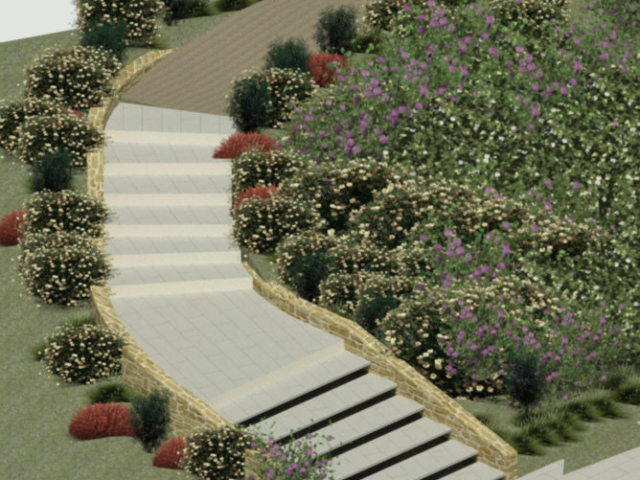 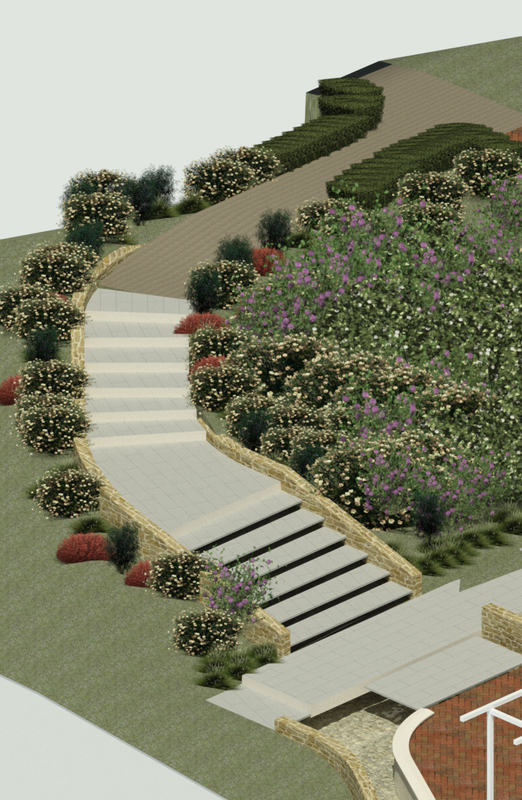 The private fire pit sits at a lower level, providing a route to pass down to the garden below.